Hospitality can come in various degrees. A lot of people focus on improving small touches in their kitchen, living room and other public areas in their house. Here’s a cute idea where you can add a special touch to a somewhat ordinary occurrence. 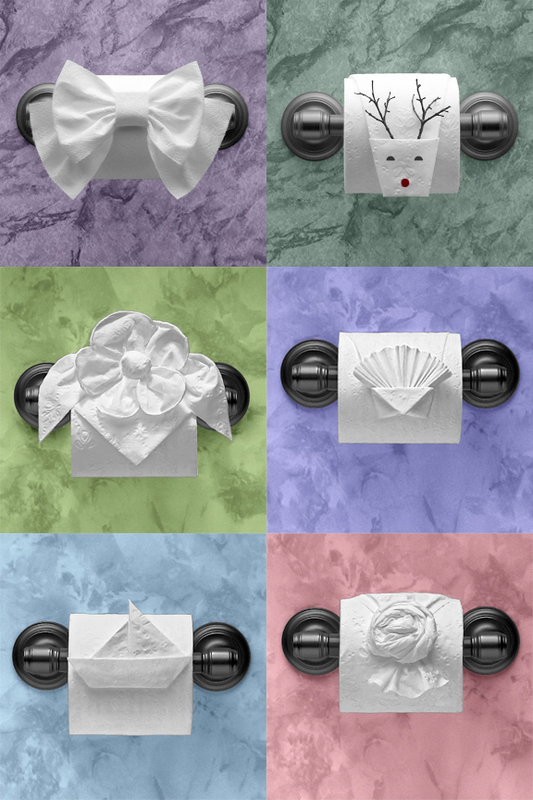 If you want to learn how to delight your guests with fancy folds, pick up a copy of the Toilet Paper Origami and Toilet Paper Origami On A Roll. They are now available in ebook format as well. Tags: book, origami. Bookmark the permalink.